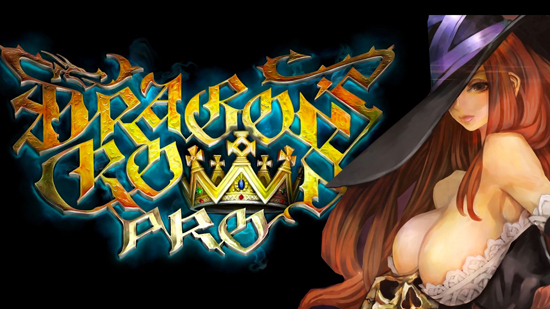 It's time to bravely step back in time, face the horror of Wallace's Underground Labyrinth, fight the monstrous orcs in Bilbaron's underground fortress, and travel to the Wizard's Tower on a magical rug Dragon's Crown Pro will be released in 2018 in the West. Dragon's Crown Pro , the remastered version of the 2013 critically acclaimed 2-D Hack & Slash Couch co-op beat 'em up action game by Vanillaware and ATLUS, will be released in 2018 for PlayStation 4 and PlayStation 4 Pro Price from 49,99 EUR. With reworked graphics and engaging presentations on Current Gen consoles, hunting for precious treasures in the Kingdom of Hydeland is as impressive as ever. Dragon's Crown ProFeatures all the gameplay elements of the original game, including the visual flair and character design of Vanilla Warren and additional Current-Gen upgrades. Visually Ready for Antiqued Dragons - Beautifully crafted artwork and 4K support bring Vanillaware's unique graphic style to life as players slither, split, shoot and loot through the dungeons of Hydeland. A rousing adventure soundtrack - Daring treasure hunters will be accompanied on their hunt for the Dragon's Crown by an orchestral-recorded and re-recorded soundtrack by the famous composer Hitoshi Sakimoto. Content Presentation - Fans are excited, as Dragon's Crown Pro features English and Japanese audio options! Text content is also translated into German, French, Italian and Spanish. The royal bells ring - owners of the classic Dragon's Crown can continue to use their Save games from PlayStation 3 and PlayStation Vita through online cross-play & cross-save compatibility. In addition, all patches, features, and Narrator Voice Packages (DLC) of the original game are included. The original Dragon's Crown tells the story of brave groups of heroes facing cruel challenges in the labyrinthine caves surrounding the medieval fantasy kingdom of Hydeland. During their adventurous journey into the depths of Hydadel, the heroes encounter NPCs such as Samuel, the leader of the Adventurers' Guild, or Lucain, the sorcerers who help them complete quests and tasks. Players will find six different adventurers (Fighter, Dwarf, Amazon, Wizard, Elf, and Witcher) with their unique abilities to reveal the story of the ultimate treasure, the Dragon's Crown. Dragon's Crown Pro will be available for PlayStation 4 and PlayStation 4 Pro in 2018 at a price of $ 49.99.